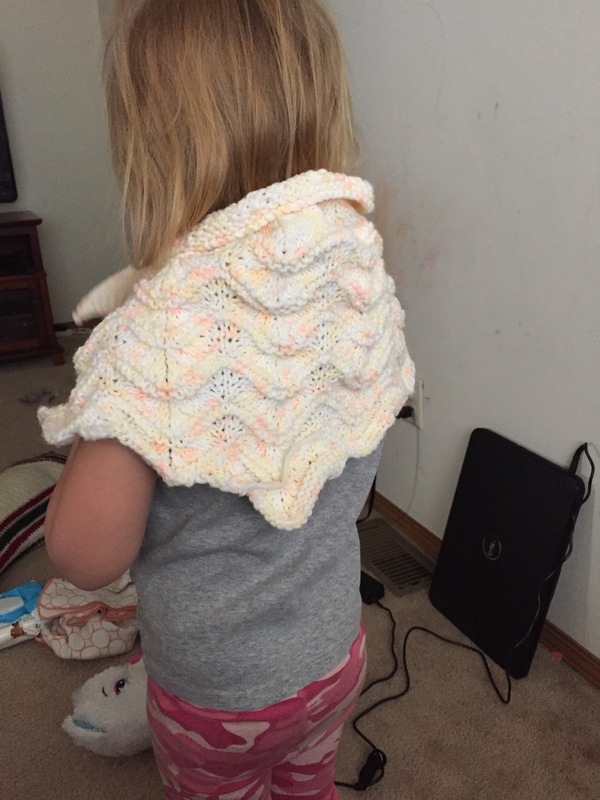 I have finished knitting this shawl. It’s a Christmas present. I haven’t blocked it yet, and I don’t know when I will because I don’t have any of that equipment yet. At least I’ve got 11 months to figure it out. 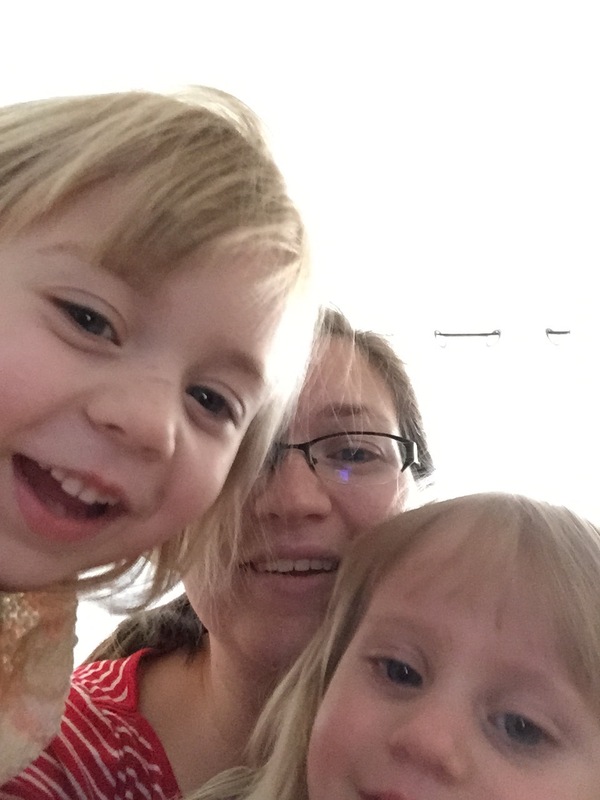 The girls both wanted a picture with it. This one said it was beautiful. I found this underneath the ottoman as I was cleaning up this evening. 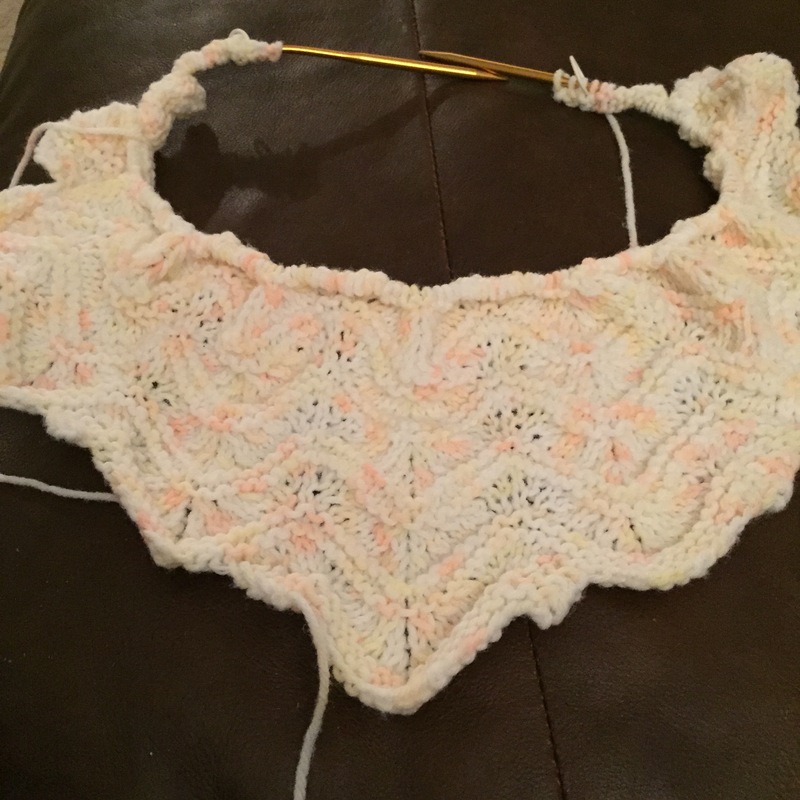 It is my pattern for the shawl that I’m knitting. (My husband doesn’t want to spend money on the ink for our printer – probably good for me because I think I went on a printing rampage once or twice). Here’s an update on my progress. I’m using a size 9 needle this time. I’m kind of excited about this one. I did something wrong. Stitches are disappearing all over the place. I don’t know what I did wrong, but I guess that means that I have to start over again. But that’s alright. 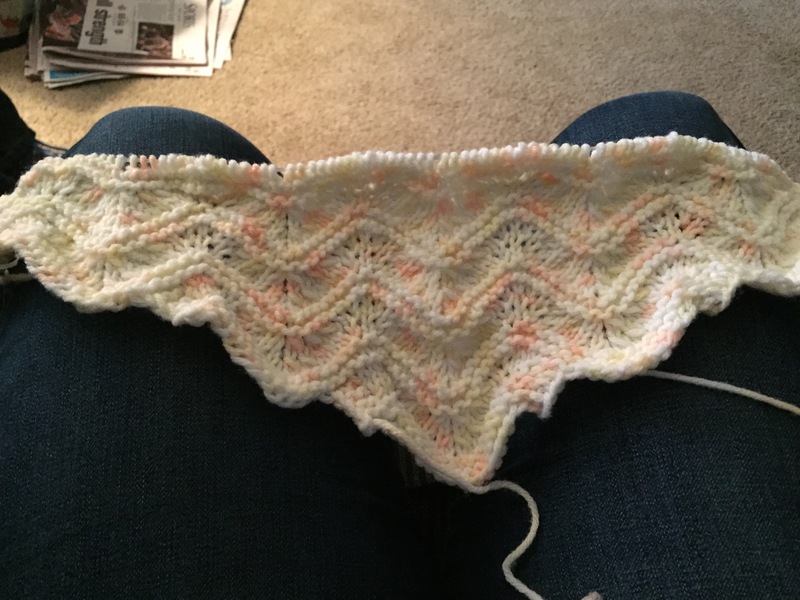 I’m not sure that the weight of yarn I was supposed to use was worsted weight, so I’m going to use a size 9 needle, instead of a size 8. 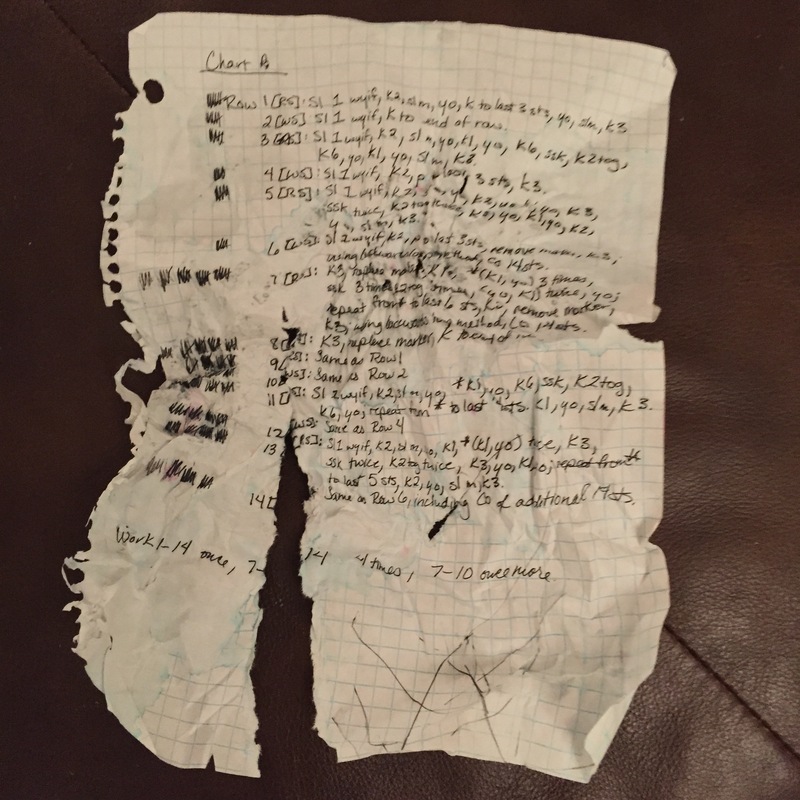 I ripped it out and started again. I’m still concerned about blocking it because it is acrylic. 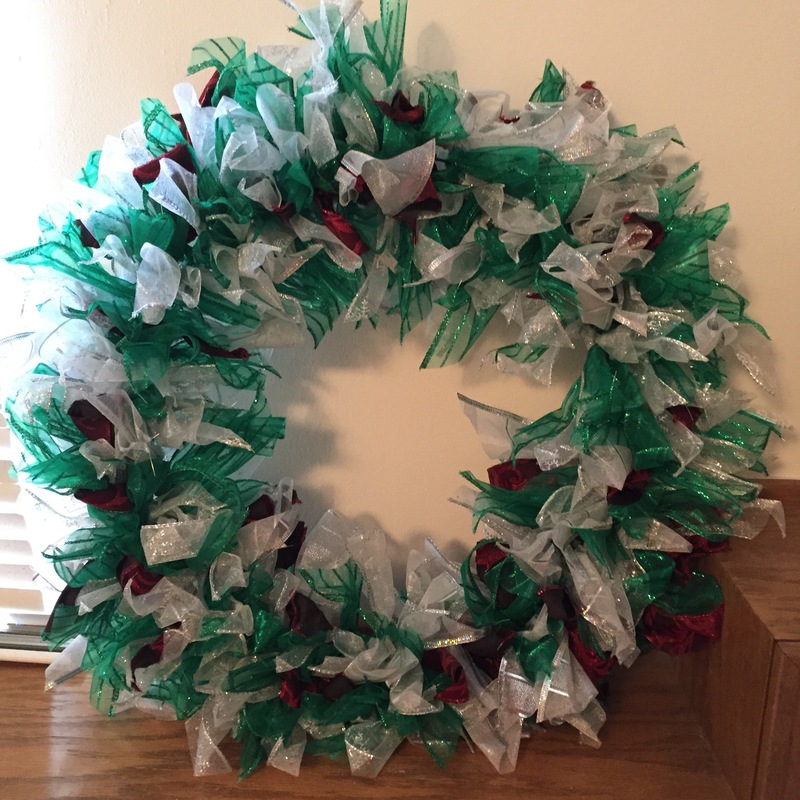 I know that it is possible, and there are some pins on pinterest and blog posts out there on it, but it seems that it’s not very popular to use acrylic for anything. But not everyone can afford nice yarn, and you probably ought to use what you have before you go and buy more stuff. 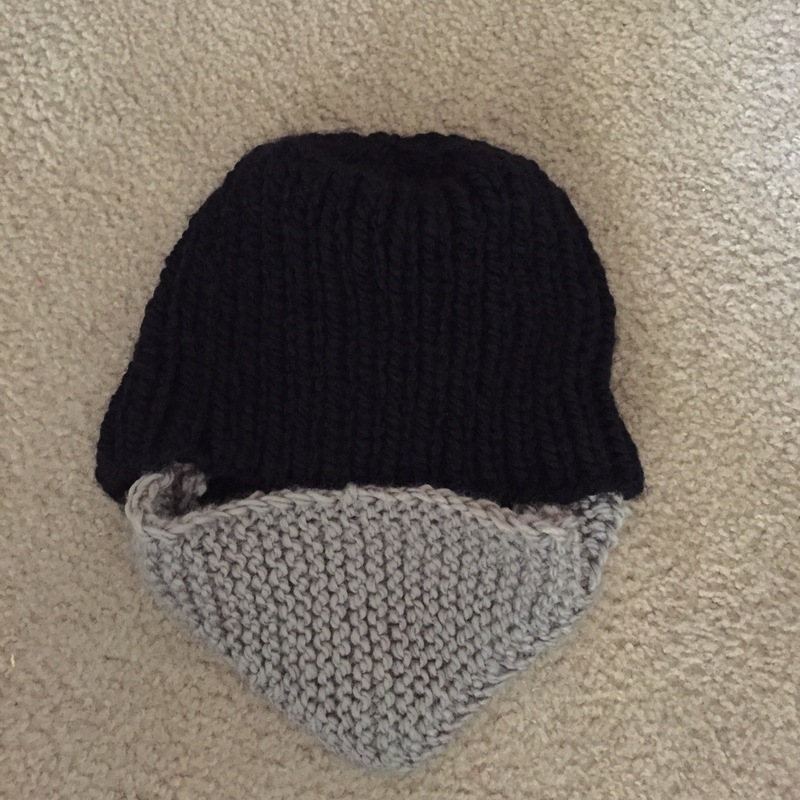 Beard Hat from this pattern. I didn’t quite do the beard like it says, but that’s alright. 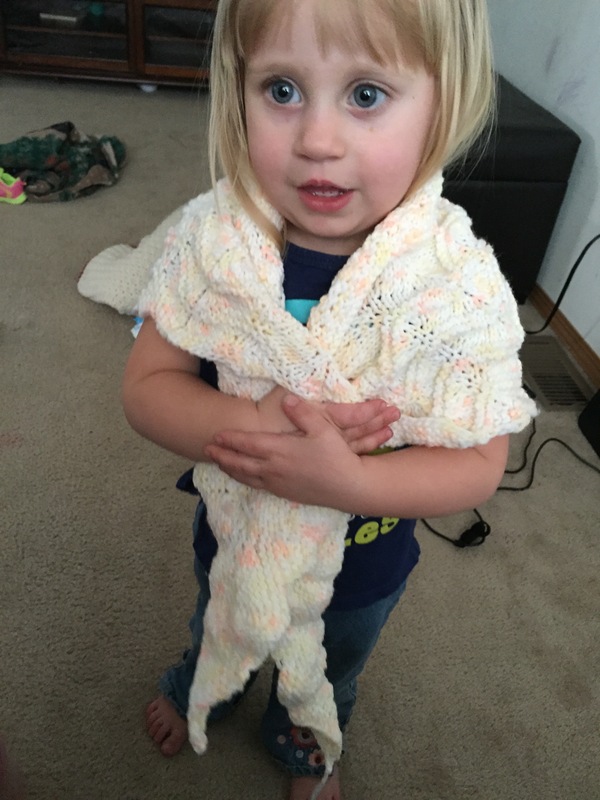 It was pretty quick knitting with the chunky yarn. This one I made recently. It took a while to finish it. 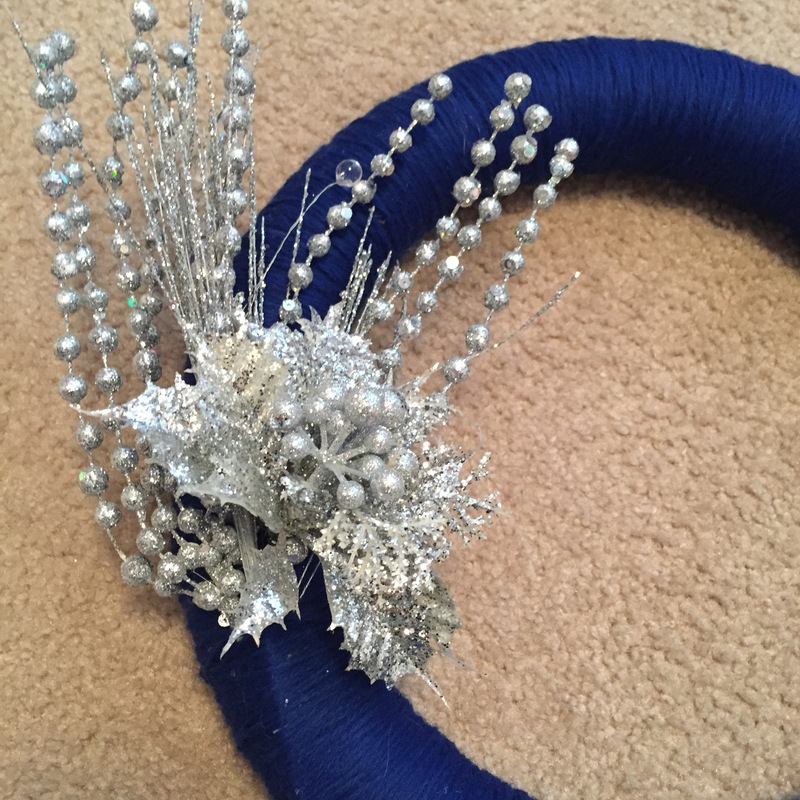 I used a green foam mold, some silver floral picks, blue yarn, and a glue gun. 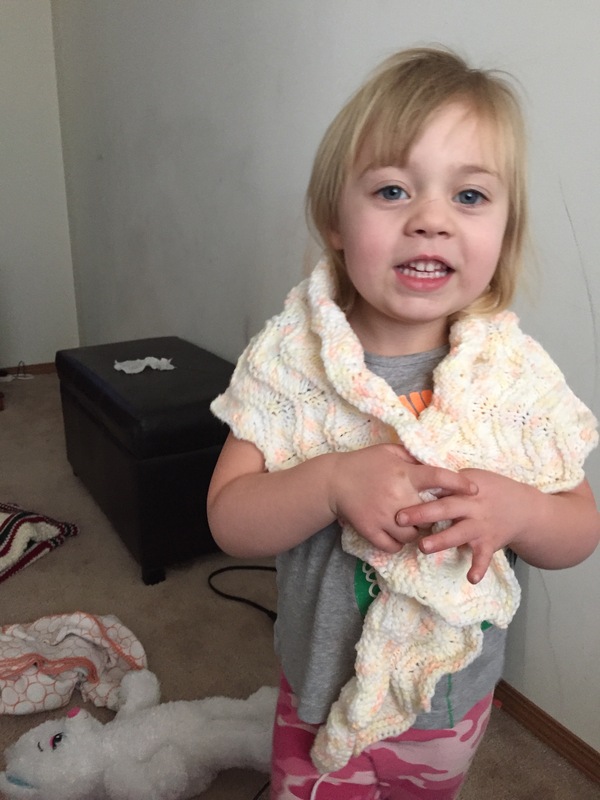 I started knitting with the blue yarn and it wasn’t working to well, I guess the yarn was old and it was falling apart on me. One of the plys was broken and it effected the strength of the rest of the yarn, it broke the other plys. So this is what I decided to do with the yarn since I didn’t think it was good to throw it away. 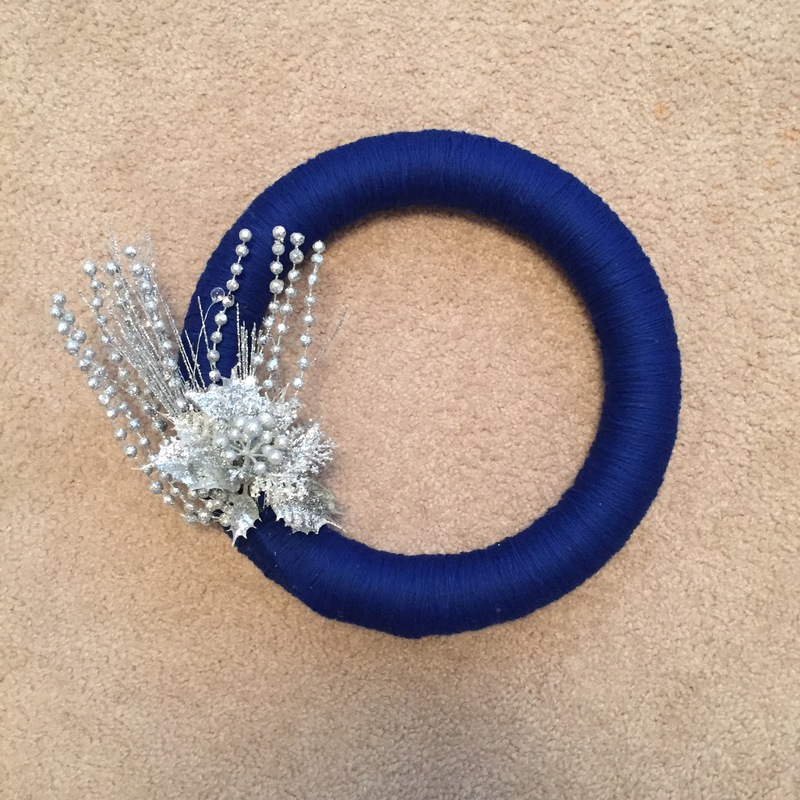 I finished a wreath this morning. And now I’m posting it in the doctors office because I finished my book, am tired of looking at Facebook and Instagram and doing web searches for other doctors who don’t make you wait an hour and 45 minutes and counting before you actually get to see them. 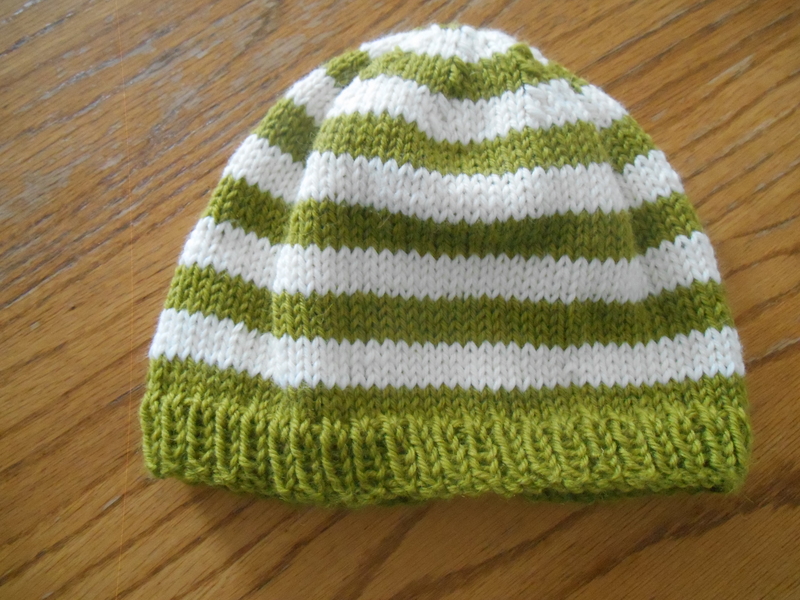 I knit this hat in a couple days. I used a technique I found on pinterest to make the joining in the round to be less obvious. 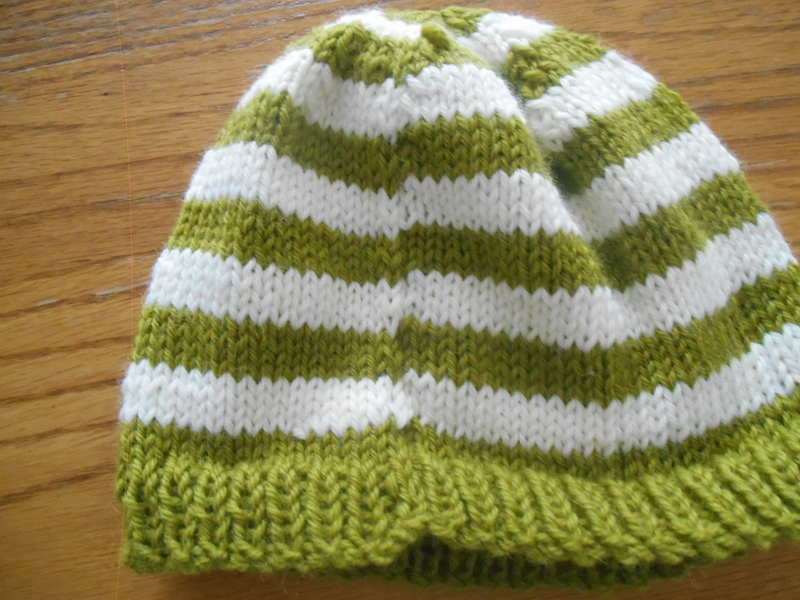 The tip is to slip the first stitch purl wise on the second round of the stripe, then knit as normal. The second picture is to show the joining in the round. 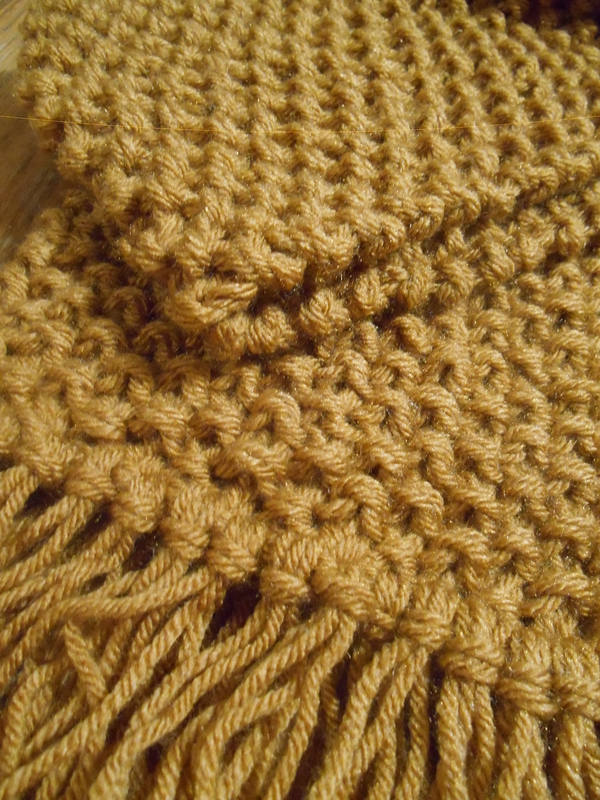 I thought that this yarn and this stitch pattern would be fitting for a man. It seems I have a lot of yarn for girls, but not so much that suit boys. I guess that’s fitting, seeing as I have two toddler girls. 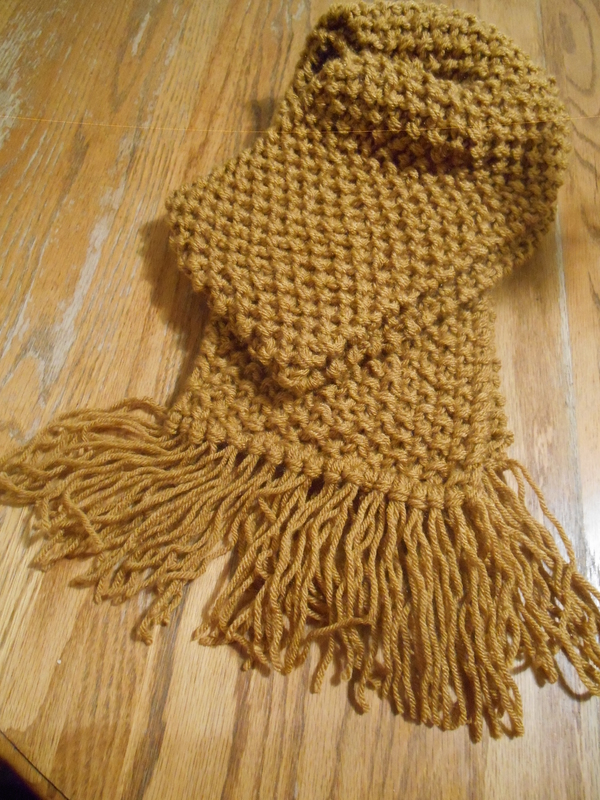 I used size 15 needles and two strands of worsted weight yarn. I think it took me two-three days. Since I didn’t have to think very much about the stitch pattern, I got to read “Bringing it to the Table” by Wendell Berry. 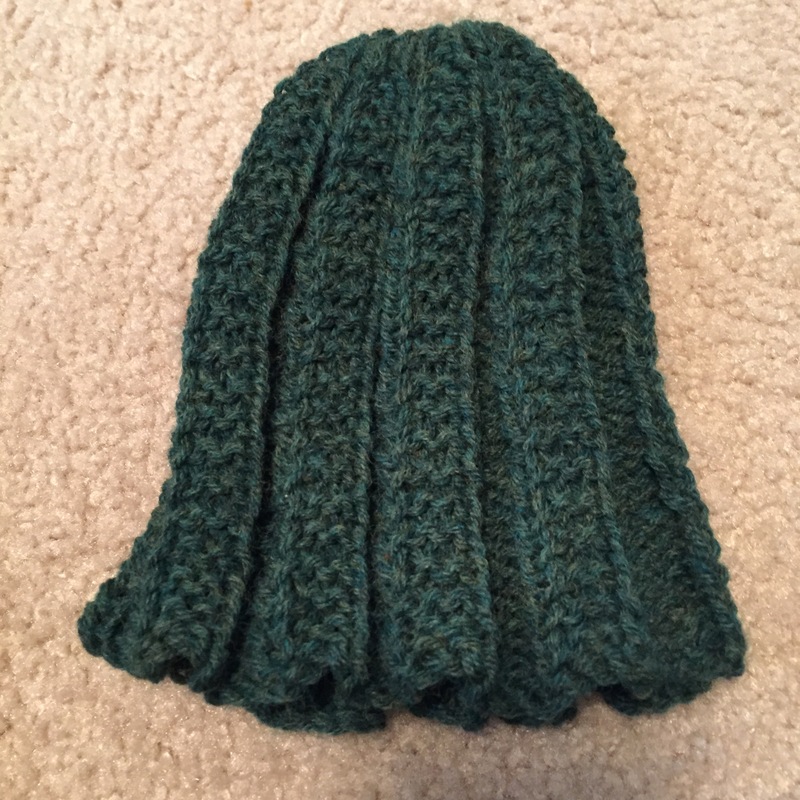 I was actually able to knit this hat in one day. I guess I’m getting faster. I’m pretty happy with the way it turned out. 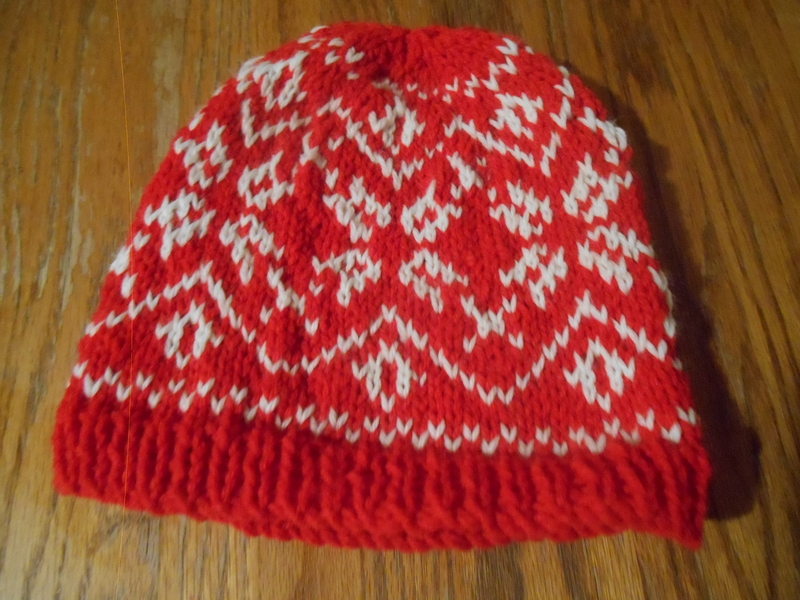 It’s an original design… or I guess a modified design between a sweater pattern and a hat.